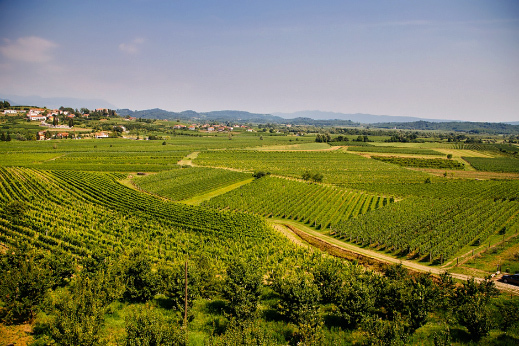 Visiting the best Slovenian sights with a strong emphasis on fine dining & wine. Enjoy the cooking of six of the greatest Slovene chefs, including Ana Ros, the World’s Best Female Chef of 2017 whose appearance in Netflix’s Chef’s Table gained her well-deserved worldwide fame. 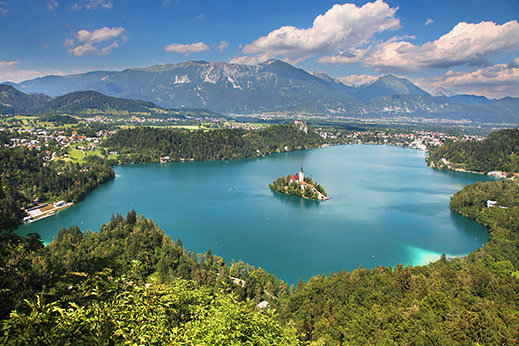 3 wine regions, medieval towns, picturesque villages, and a variety of Slovenia’s natural sights. 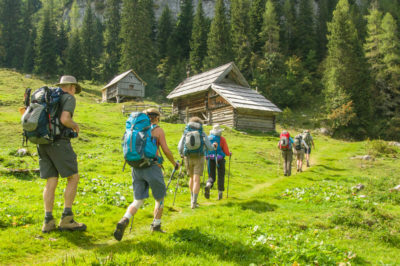 The Alps, the Mediterranean and the Pannonian Plain all in one tour. Gourmet tasting menus, wine and olive oil tastings, the local specialty of pumpkin seed oil. Attend a cooking class and learn about traditional Slovene dishes. Get to know Slovenia’s thriving organic food scene. · Other departures upon request throughout the year. Please contact us for a Culinary experience in Croatia. Arrival to Ljubljana, the capital of Slovenia, which has become one of the hippest cities in Europe. It is reminiscent of Prague, but without the crowds. It is so small that you can explore most of the town´s sights on foot and yet so cosmopolitan that you can hear a variety of languages while strolling along Ljubljanica River. Lively with bars, cafes and art galleries, the green city of Ljubljana offers a welcome respite from the big city life. Meet your guide in the afternoon for a trip overview and a tour of Ljubljana’s medieval city center. Our tasting menu at tonight’s dinner is an elegant introduction to Slovene cuisine. 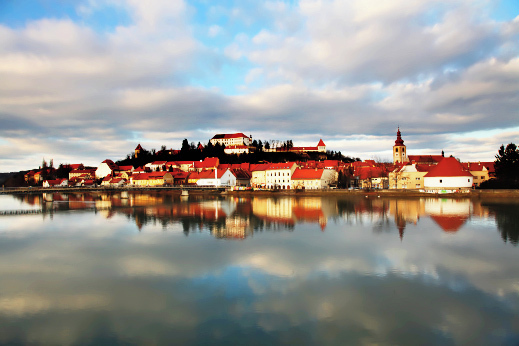 Medieval town of Ptuj on the riverbanks of Drava. 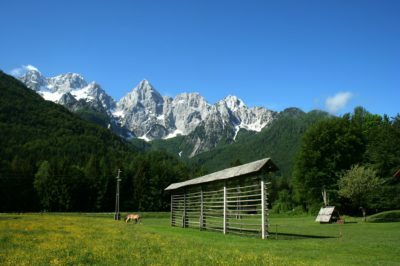 Today we set off to the northeastern part of Slovenia, which was once part of the Habsburg Empire and is a region famous for its wine, thermal spas, food and unique village life. Our first stop is Ptuj, Slovenia’s oldest town, which dates back to the Roman times. We visit the town’s beautifully preserved medieval center, clustered around a hilltop castle overlooking the Drava river. To experience Ptuj at its best you need to go the town’s wine cellar, which is one of the oldest in the country and stores the oldest wine in Slovenia, the “Golden Vine” of a 1917 vintage. Leaving the wine cellar we head for the vineyards in the heart of Slovenia’s northeastern wine country. Jeruzalem is a small settlement where terraced vineyards stretch as far as the eye can see. It was named by crusaders who stopped here on the way from the Holly Land and found their small Shangrila here. They stopped and never left. We walk through the vineyards and visit some of the local wine producers. Our accommodation for tonight is a lovely boutique hotel with a private spa and sauna, located in the unspoiled countryside. Relax your body and soul at the spa. After leaving the rolling hills of Jeruzalem we enter the Pannonian Plain. This part of Slovenia is called Prekmurje, which can be translated as “the land across the Mura River”. Here you will find picturesque villages and some of the friendliest people in the entire country. We start the day by visiting the backwaters of the Mura River, which are home to the black stork and the river kingfisher. Our trail brings us to an old floating mill, which is the last one in Slovenia where flour is still produced the traditional way. Here we will have chance to taste some of the local delicacies, which were made especially for us by the local women. 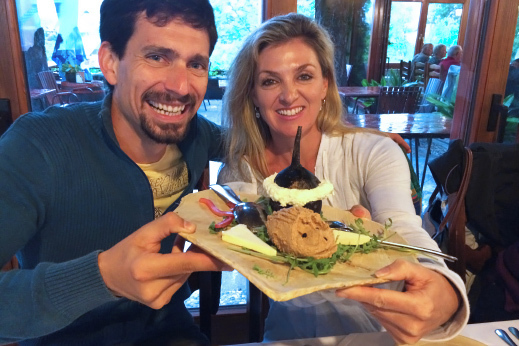 Once on the other side of Mura River we learn about pumpkin seed oil, which is a popular specialty in Slovenia. Its unique nutty flavor is the secret ingredient of Michelin-starred chefs and a crucial ingredient in the local cuisine. Have you tried it with a scoop of vanilla ice-cream? By lunchtime we reach Maribor, Slovenia’s second largest city. It’s time to meet David, a renowned local chef who trained in Michelin-starred restaurants and now splits his time between the art of gastronomy and hard-rock music. 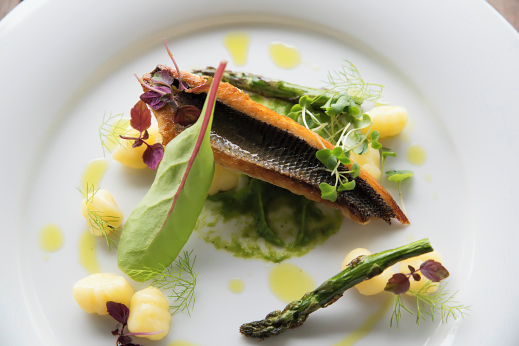 A full tasting menu reveals to us the secrets of northeastern Slovenian cuisine. By late afternoon we leave for the Alpine part of Slovenia and reach Bled by early evening. We start the day enjoying the serenity of Lake Bled, surrounded by alpine peaks. It is easy to fall in love with the sight of the lake’s calm waters reflecting the outline of the tiny islet set in its middle, watched over by a medieval castle perched high atop a cliff above town. 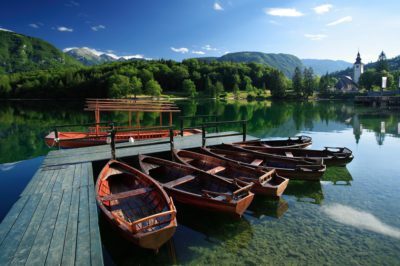 An action-packed day first takes us to Lake Bohinj, Bled’s wilder brother hidden deep in the mountainous embrace of Triglav National Park. A short walk takes us to Mostnica Gorge, a natural wonder carved in the course of millenia by a playful stream of water. A soft forest trail leads us to the riverbank where we can spot trout swimming in the crystal-clear currents. We make our way back to the lake and rest on the lush meadow while our lunch is being prepared: a wild trout freshly caught in the local stream. 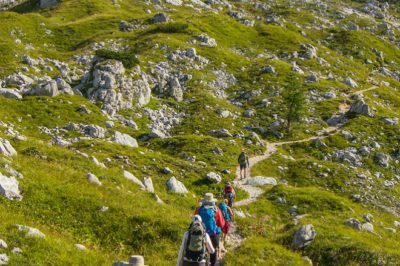 We follow this with a trip to the upper valley of Bohinj, where we visit a local dairy farm and learn how they make their cheese. 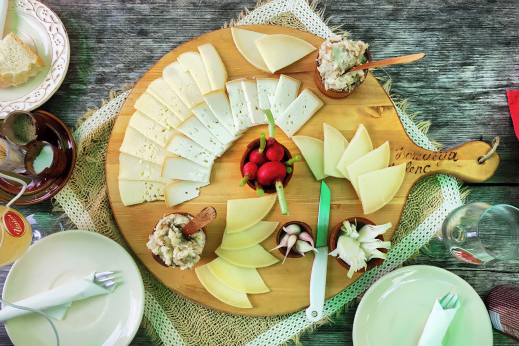 You will have the chance to try a variety of local cheeses, ranging from gentle fresh flavors to the pungent Mohant cheese, a specialty treasured by cheese connoisseurs. Coming back to Bled we enjoy a walk around the lake and visit Vila Bled, the famous former residence of Yugoslav president Tito that enjoys a prime location by the lake. Enjoying a shot of good brandy we listen to the intriguing stories of Yugoslavia’s communist history. Tonight’s restaurant is situated in the nearby medieval town of Radovljica. This traditional restaurant is housed in a 500-year-old building and offers some of the most authentic alpine Slovenian cuisine. After desert we have the chance to learn how lect hearts are made. These elaborately decorated honey-bread cookies were once a cherished gift among lovers and remain one of the region’s most recognizable traditional products. Today we take a ride through the Julian Alps en route to the valley of river Soca, crossing the Vrsic pass (1625m). 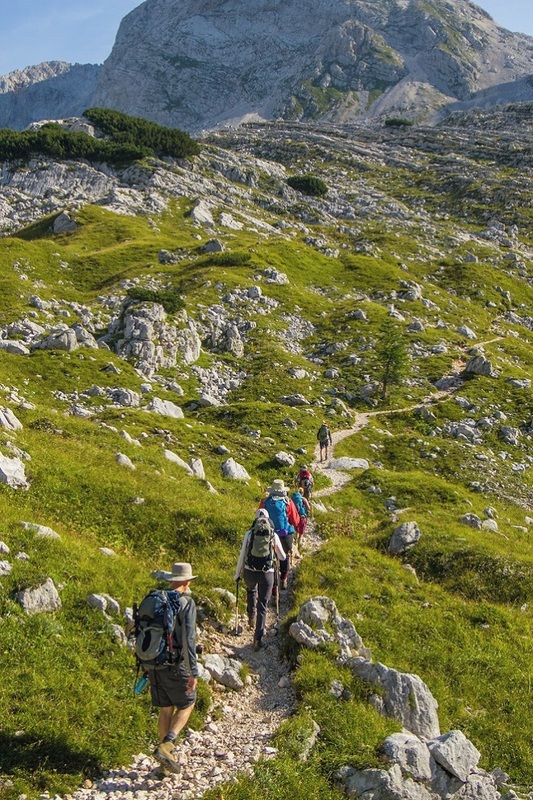 The pass used to serve as the border between Italy and the Austro-Hungarian Empire and offers breathtaking views of the surrounding mountains, Italy, and Austria. From the pass a scenic drive along the winding mountain road brings us into the valley that is home to the emerald waters of the Soca River. We stop at a local farm for a lunch of hearty traditional fare: veggie mountain stew, organic sheep cheese, home-made bread and čompe (boiled potatoes with herbal ricotta). We spend the night at Hisa Franko, a charming countryside villa that is also the home of Slovenia’s best chef Ana Ros, whose appearance in Netflix’s Chef’s Table gained her well-deserved worldwide fame. In 2017 she received the title of the World’s Best Female Chef! Ana’s philosophy is to use seasonal homegrown and local food, prepared with great attention to detail and spiced with her strong character. While dinner is being prepared we let Ana’s husband Valter introduce us to some of the best wines that he collects in his wine cellar, as well as the cheeses that he carefully ages himself. It is no surprise that their restaurant was ranked among the top 50 restaurants of the World in 2018! We start the day with what is probably the best breakfast on the whole tour and a visit to Ana’s herb garden. A picturesque drive along the Italian border takes us to Goriska Brda, Slovenia’s best known wine region, which produces some of the best wines in this part of Europe. We would like you to meet the Slovenian winemakers who are consistently ranked among the 100 best in the world by Wine & Spirits magazine, such as Movia and Kabaj. Drinking their wine with a view of the Dolomites and the Adriatic Sea is a truly special experience. We would also like to introduce you to the process of organic wine-making, which is a growing movement in Slovenia and getting a lot of publicity worldwide. Dinner will introduce you to the Italian influences of the local cuisine and you will spend the night in a small chateau. 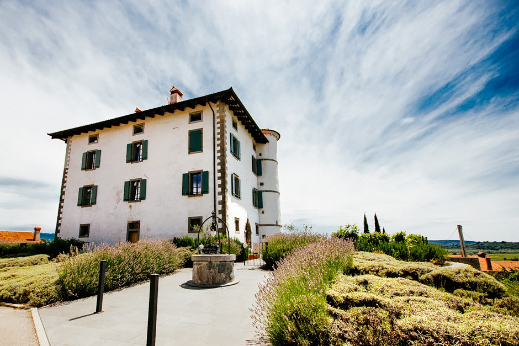 In addition to its world-class wines and picturesque scenery the Brda region is also a historically significant place at the crossroads of many cultures and influences. After centuries under Venetian rule Brda became the borderlands between Italy and the Austro-Hungarian Empire. During the First World War some of the bloodiest battles were fought on the nearby Isonzo Front, which gave inspiration for Ernest Hemingway’s Farewell to Arms, and later the region became the westernmost corner of communist Yugoslavia. After a morning swim in the chateau’s pool and some excellent Italian expresso we set off to Vipava Valley, which is only 30 miles away but has a very unique character shaped by strong winds and openhearted locals. This lush green valley witnessed a revival of old traditions where younger generations became strongly involved in organic farming and wine-making. We visit a boutique winery where you have the chance to try some world-class Merlot and Zelen, a wine made from the local grape native to the area. Our Slovenian gourmet tour culminates in the meal prepared by grand chef Tomaz Kavcic, the last in our holy trinity of great Slovene chefs (Gregor Vracko, Ana Ros and Tomaz Kavcic). We make our way back to Ljubljana on scenic side roads. En route we visit the charming town of Idrija which prides itself with a 140-year-old tradition of lace making. Once famous for having the second-largest mercury mine in the world, today Idrija is bursting with UNESCO sights and is famous for the delicate lace handmade by local artisans and a local food specialty called idrijski zlikrofi (dumplings with potato filling recognizable by their characteristic shape). They go well with tender lamb meat, as we will see for lunch! Our culinary travels end back in Ljubljana in the afternoon. 1:8 TrekTrek guide to guest ratio.